China is seldom in the news as a trouble maker, unlike the ambitious Kim or the terrorism of ISIS worldwide or the continuous conflicts in the Middle East. Where they are owed huge sums of money, loaned to the US, it is Trump or European royalty, not China, seen on the evening news. 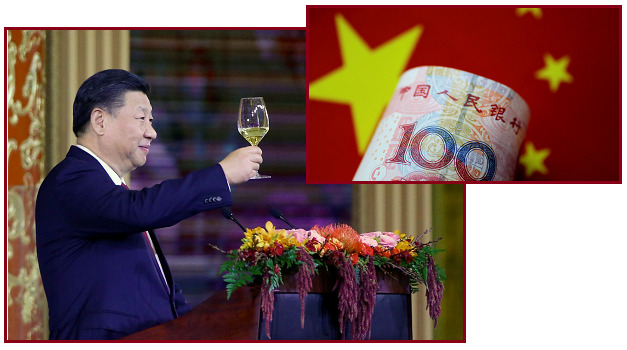 The Chinese are quietly industrious, and not arrogant, as the Yuan takes over as the world’s reserve currency, replacing the US Dollar and bypassing the faltering Euro. But China will not allow itself to be pushed around. Xi is a strong leader. For the past 70 years, the US dollar has been the world’s dominant currency. Two-thirds of the world’s $6.9 trillion allocated foreign exchange reserves are held in US dollars. The yuan took a major step towards broader international adoption in 2016 when the IMF decided to include it in the basket of currencies that make up the Special Drawing Right, an alternative reserve asset to the dollar. China's Commerce Ministry has urged Washington to discard planned tariffs it warned might set off a chain reaction that could disrupt global trade and said Beijing will "fight to the end". Beijing responded to an earlier US tariff hike on steel and aluminum imports by releasing a US$3b list of American goods including pork and steel pipes that might be targeted for retaliation. ZetaTalk Opinion 4/30/2018: We have stated that since the Fall of 2015, when Jade Helm ended without Obama informing the people that Nibiru was a real and present danger, that the US has been under a form of martial law, run by a Junta. Trump inherited this setup, and has an excellent working relationship with the Junta. It has been said that a King only has power if the military supports him, and this is certainly true in China and Russia, though in both those countries the military is a partner, not a boss. China is very consensus oriented, run by committees, but Xi is very much its leader, as the vote to remove term limits shows. Putin has immense popularity, and is seen by all as a stable leader with the welfare of his country his top priority. If the US, China, and Russia are positioned to go into the Last Weeks with strong leadership, the same cannot be said of many other countries around the world. The Queen has failed to lead, preferring to seek refuge for herself and family, leaving her charges to flounder during the ravages to come. The Commonwealth countries are thus formulating their own approach. Venezuelan shows what will happen to those countries who do not have a plan, or a weak leader. Germany under Merkel has pushed to establish what might be termed a 4th Reich, using ISIS sleeper cells as her secret militia and partnering with Erdogan in Turkey. The new Saudi King shows new promise for leadership in the Middle East, showing that change can be transformative. Heading into the times when Nibiru will be in the news, countries around the world are preparing for the inevitable panic. Once again, China shows superlative leadership. 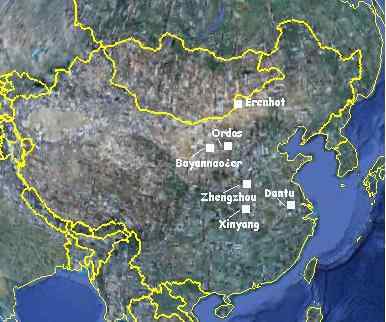 They have prepared to shelter their citizenry in the Ghost Cities in their interior, away from the coastline and in what will be a warmer region in China in the Aftertime. 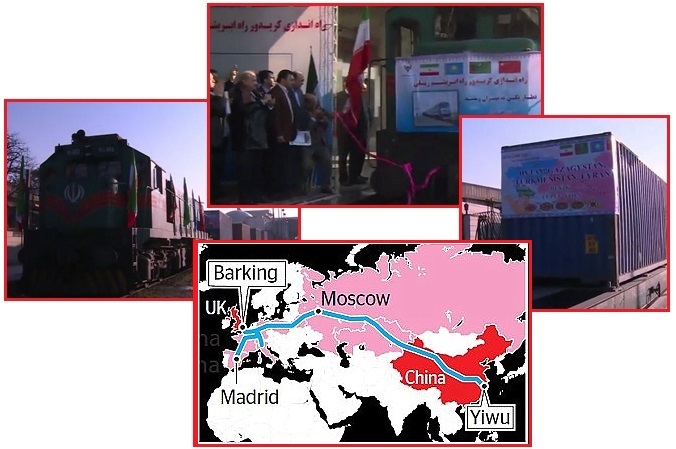 They have participated in the initiative to build a new Silk Road Railroad traveling from the China coast to Europe. Though criticized for blocking migration from southeast Asia, China has over a billion citizens already to care for, out of the world’s 7 billion people, more than their share. ZetaTalk Opinion 4/30/2018: Under President Trump’s Junta the US appears to have gone into an isolationist stance. The Paris Accord was rejected by Trump, despite howls from Europe and Global warming advocates. NATO members have been told to shoulder their fair share of the cost. Russia has been accused of poisoning their former spies living in the UK, despite the obvious evidence that the UK itself did this poisoning, and now diplomates on all sides are being expelled. The US is building a wall between itself and Mexico, and Trump threatens to reject or amend former trade treaties. Though it was China diplomacy that resulted in a resolution of the N Korea nuclear threat, China is not swaggering or bragging. This is in keeping with their nature, something they inherited from the base ape used to genetically engineer China Man. 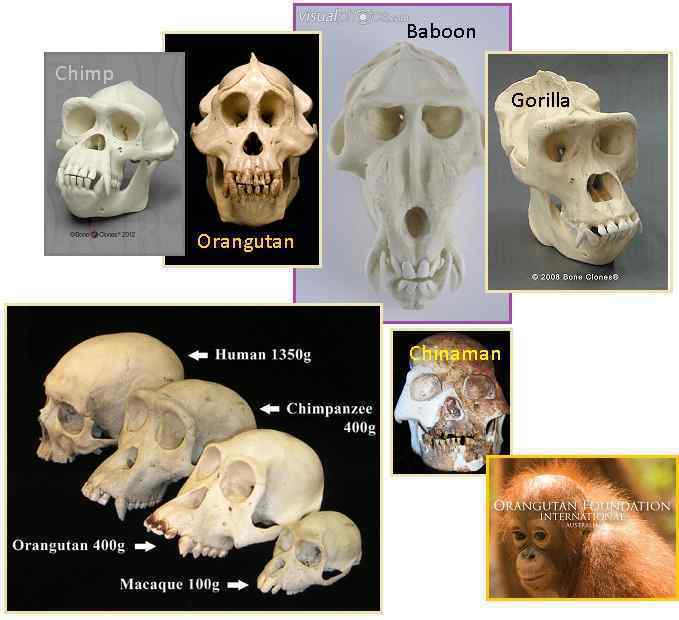 If the base ape for the White Man of Europe was always hopping up and down and throwing a fit, and the base ape for the Gypsy Man of India was a monkey that took to the trees to escape rather than confront, and the base ape of the Black Man of Africa was very family oriented with large extended families, the base ape of China Man was the Orangutan – intelligent and laid back. Though China is not bragging about its role in resolving the N Korea crisis, the benign aliens visiting Earth and concerned that the populace get past ambitious spitting contests such as Kim of N Korea was constantly fomenting, have congratulated China. At least, this is the ZetaTalk interpretation of the octagon UFO captured on film. Congratulations, China, on your stability and achievements! 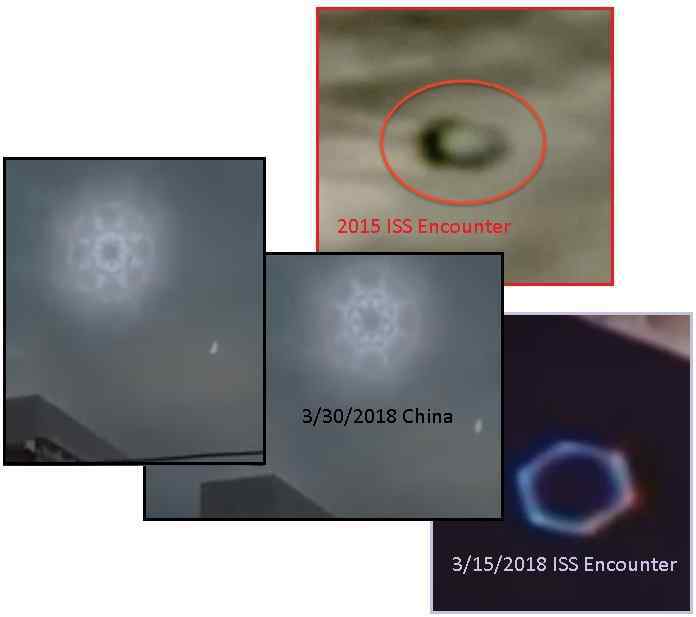 ZetaTalk Interpretation 4/30/2018: What is the significance of an octagonal UFO seen over a Chinese city? For the Chinese, 8 is the most lucky number. It represents prosperity and success. We have recently mentioned that China’s role in intervening in the N Korea crisis is not yet known by the world. The resolution of this nuclear threat, amid the burgeoning confrontation between Kim and Trump, was not due to Kim suddenly becoming realistic or intimidated by Trump. When the world learns of China’s full role, China’s status in the world will rise. Where the US dollar has always been considered the stable and reliable currency, the yuan is overtaking it. This UFO display is congratulating China. In a recent newsletter we detailed how the looming Venus and Dark Twin can appear as a Monster Persona. 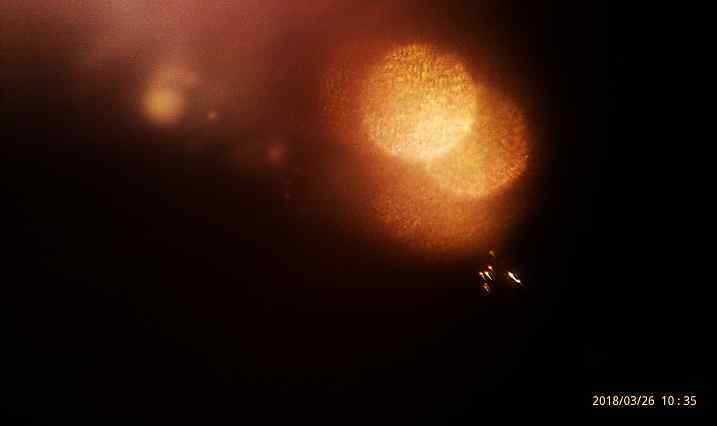 Nibiru itself had begun to appear as a Monster in Alberto’s photos, perhaps because it has drawn closer to the Earth. 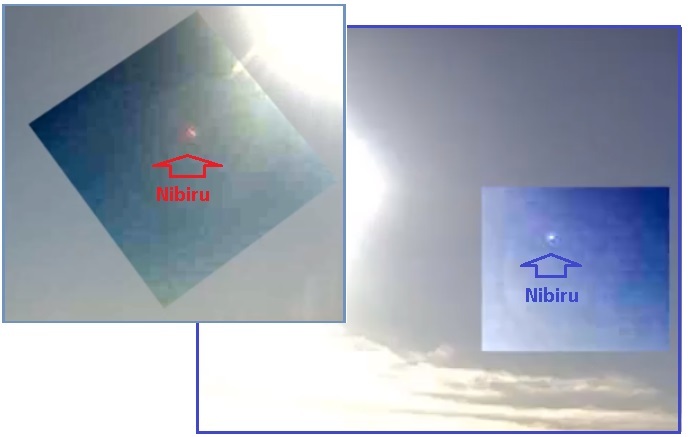 Now the Monster Nibiru is appearing as clones in Alberto’s photos, due to the competition for the light rays bending back toward a gravity sink. Earth is not alone as the gravity sink, as Venus and the Dark Twin are nearby the Earth, crowding into the cup. The Zetas explain. ZetaTalk Insight 3/31/2018: The Monster Persona is caused by light rays going outward into space being captured by a gravity sink, and thence bent back toward that gravity sink. Normally, when objects are close to Earth, these will show up as a single Monster, as Earth is the only gravity sink nearby. This was the case for recent looming Venus monsters, and Dark Twin monsters. But Nibiru is farther afield, at a greater distance. Nibiru lies to the right of the Sun, in the view from Earth, and the Dark Twin is to the left, in the orbit shared with Earth. Thus light rays going in the general direction of Earth will likewise be attracted to bend toward the Dark Twin. Venus is between Nibiru and the Earth, caught in the cup of particle flows in the Solar Wind coming round behind Nibiru. 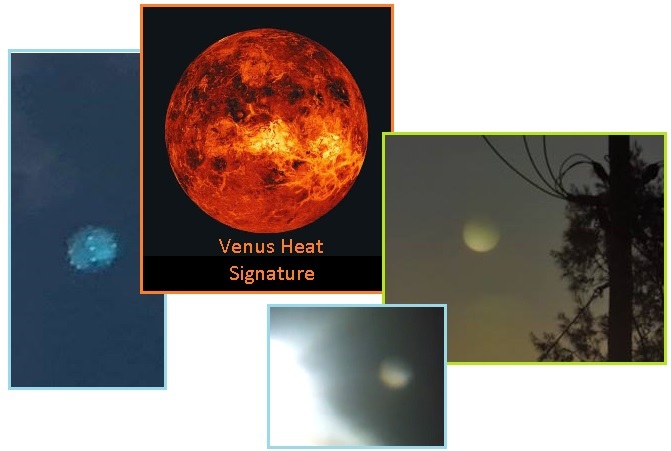 Where mankind thinks Venus is going round the Sun, it is going back and forth in front of the Sun, pushed there by benign aliens directed to simulate the Venus orbit for man, so those unaware of Nibiru as yet do not go into a panic. Thus light rays coming from Nibiru and spreading out into space may be deflected by Venus, the Dark Twin, or the Earth, and those light rays coming close to the Earth will suddenly bend in that direction even if previously deflected. Now these Monsters are showing up on FAA cams, and have generated much discussion on alternative media. Various FAA cam captures are shown on the video, facing south from cams in Alaska and Canada. The Sun is visible in most, so it is likely most Monsters are Nibiru. When the capture occurs at dusk, the Dark Twin does make an appearance, as the cams are then able to include the view looking behind the Earth, back along their shared orbit. At dusk, they can even be captured together. 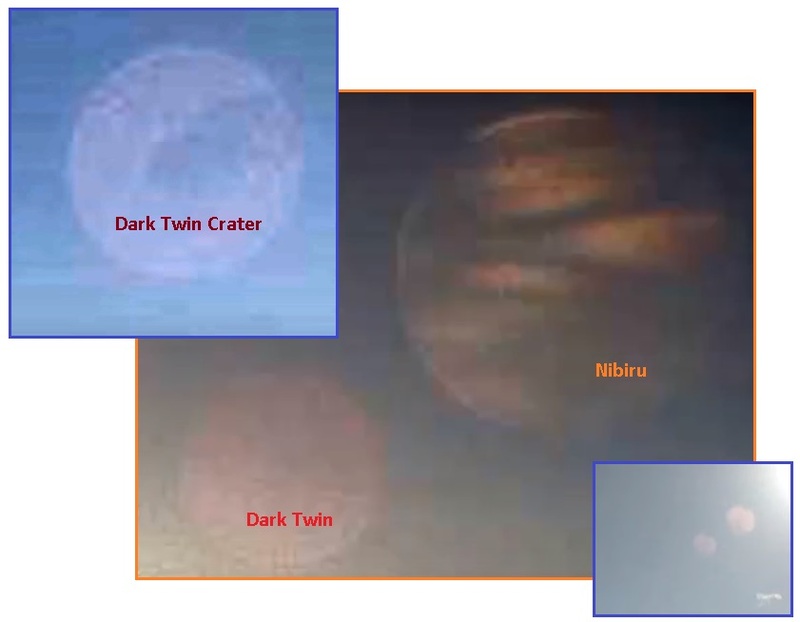 Nibiru as the red planet and Nibiru as a Monster are even superimposed on one another, in some captures. 2 Planets: Huge, Striped Fast-Rotating on FAA Weathercam! Why isn’t this on the news? These huge planets are visible to anyone browsing through the FAA weathercams. Today this huge, striped, colorful planet was on the weathercam, rotating quickly. A red planet then rolled into view on the same camera at the same time. Not a word from NASA about any of this. Why the coverup? The features on the Dark Twin include a crater, which shows up consistently and rotates with the planet. It is called the Red Planet in the videos mentioned below, due to the red dust increasingly present in Earth’s atmosphere, as the Dark Twin is black, without water or atmosphere. One can also see a ridge line in the clouds in the Monster images of Nibiru. This ridge line is present in Alberto’s photos too, most likely due to land masses under the clouds. Nibiru is primarily a water planet, having less land mass than the Earth. Looming Venus is also being increasingly captured as a Monster, in Rome on March 23 and by AJ Lujan of the International Nibiru Sky Watchers. The Monster persona of Venus has a different face than Nibiru or the Dark Twin. Venus has a smooth face, though looks like it has the measles. Where the Dark Twin has no water or atmosphere, and Nibiru is primarily a water planet capable of sustaining life, Venus is super hot and volcanic. These volcanoes can be seen in the Monster images, as Venus is pressed ever closer to Earth! Venus is the hottest world in the solar system. Although Venus is not the planet closest to the sun, its dense atmosphere traps heat in a runaway version of the greenhouse effect that warms Earth. As a result, temperatures on Venus reach 870 degrees Fahrenheit (465 degrees Celsius), more than hot enough to melt lead. The President of Uzbekistan personally raises chickens and cleans out the coop, weekly. He goes beyond being a good example of self-sufficiency, he is instituting laws in the country that will punish those who are not using their land productively. No lazy citizens buying groceries from the store if you can grow them yourself! When the Pole Shift hits, the people of Uzbek will not starve. Compare this to countries who have failed to prepare. Venezuela for instance, where starvation and rioting is the norm. Officials will monitor every household twice a year to "study the public's interest in farming, building a greenhouse, and keeping livestock or chickens". If monitoring carried out by police chiefs, tax inspectors and local prosecutors find that a household has failed to "use the land efficiently" by not growing crops or keeping farm animals, land tax will be triple. The new regime comes after President Shavkat Mirziyoyev expressed his dismay that citizens were buying staples such as potatoes and milk rather than producing their own. The Uzbek president, who was elected to the post in December 2016 following the death of his predecessor Islam Karimov, appears to be no stranger to working his own plot. He owns 110 chickens, and sends the eggs to his home village in exchange for meat and yoghurt. 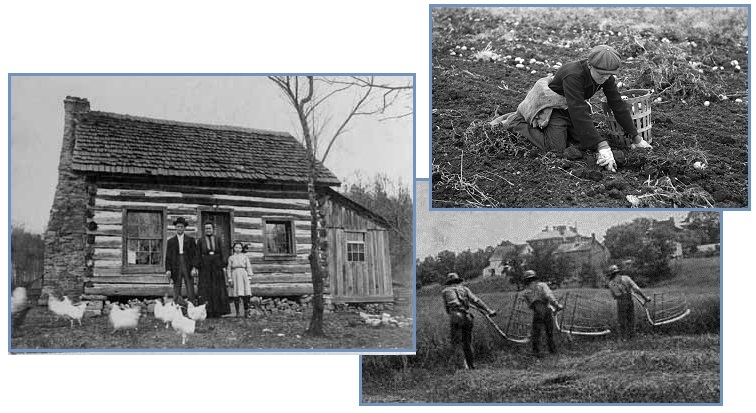 Most people in the early 1900’s gardened to one extent or the other. 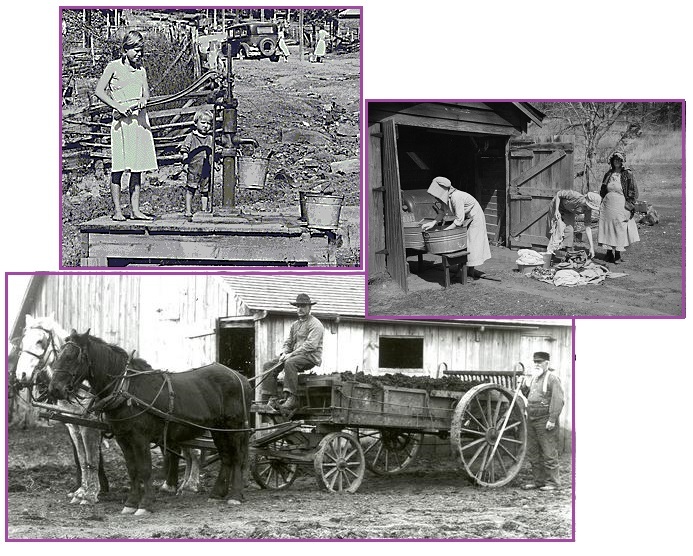 Just like gardening, a lot of people owned livestock in the 1900’s. This may not been a full fledged “Ranch”, but quite a few people had cows, chickens and goats. This is the Amish. Day in and day out for hundreds of years they have preserved food, lit their homes, worked the land, and cooked their meals without any need for electricity. They use manpower, hand tools, wood stoves, and animal power to live a relatively comfortable life. They treasure their tools from an early age and maintain them to a meticulous level. Their axes, awls, shovels, plows, anvils, and hammers are all kept in pristine condition. In addition, many of their animals are considered tools in the Amish community. Horses in particular are vital to their farming and transportation efforts. ZetaTalk Advice 4/15/1999: The message is to rely on the self. What if the grid were to be down? What if the stores were to be empty? There will be no security blanket that the populace can rely upon, so self-reliance must be the rule. The panic that will settle into governments as the time approaches, when each individual will be dealing with their own personal panic and anxieties, is completely unpredictable. What will a frightened animal do when cornered? Well, your entire government and bureaucracies will turn into that in the last few months. So the populace should not look to them, but rather look to themselves. ZetaTalk Prediction 12/15/1995: After the cataclysms the snug blanket of protection that many have taken for granted will be gone – no Social Security checks, no home deliveries, no 911 emergency service, no free medical services, and no welfare checks. For those not relying on those services the shock will be as great, as with home, job, and service providers gone they will be just as destitute and bereft. In essence, humans will be relying on one another, and not on an infrastructure. What will this mean? Even Wiki has gotten into the act, releasing out-of-print patterns to the public, for free. Patterns are ageless, and can be adapted for size and style and used over and over again. In my younger years, when living below the poverty level as a single mom of three, I would take discarded clothing apart at the seams and lay a pattern over the pieces to create a new garment. And yes, I had a manual sewing machine, bought at a yard sale for $1. Get or make a spinning wheel and a loom and you will be in business! As the Zetas have stated, needle and thread will be worth more than Gold and Silver in the Aftertime. Like sewing? Well you’ll love this news: the Vintage Patterns Wiki has released more than 83,500 patterns of pre 1992, out of print patterns for all to use. Clothing was hand-made on the frontier. Almost any source of cloth could be used to make shirts or dresses. One of the reasons floursacks, for many years, were made of patterned cloth, was the fact that women collected them to make shirts or dresses, for themselves, their husbands, and their children. In the Amish community, children are taught to sew as toddlers. 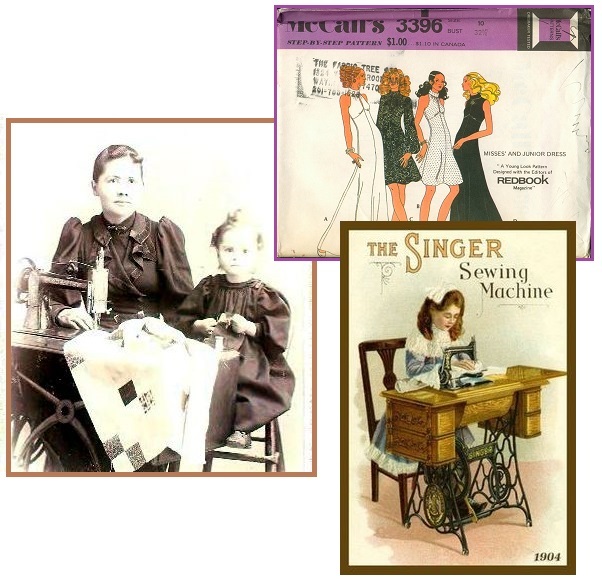 Within a few years they can spool thread, weave cloth, and design and sew clothing. In addition, they can mend any clothing that is damaged during the rigorous activities required in the Amish community. ZetaTalk Statement 8/15/1996: A sharp knife, a sewing needle and thread, some seeds, these things will become the precious possessions. ZetaTalk Prediction 12/15/2001: The value of items that can increase worth, such as a needle and thread which can repair clothing otherwise worthless, or a shovel that can create a garden otherwise a weed patch, will balloon.